Levell spent much of her career in Europe, after attending Endicott College for architecture and interior design, studying fine arts at the University of Delaware, and eventually receiving her master’s degree from George Washington University. 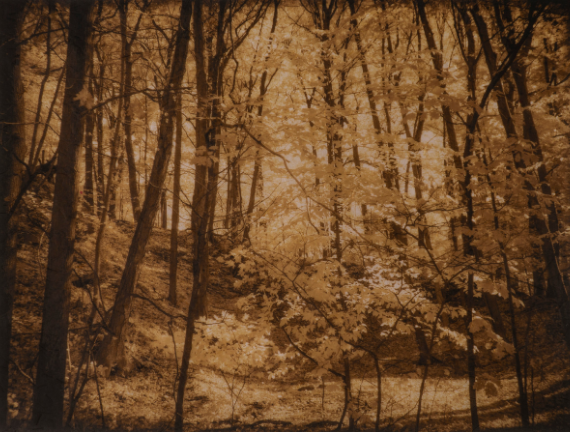 She began experimenting with alternative photographic processes as early as the 1970s. But it was while she was living in Germany that she began to master her art, culminating with eight one-person exhibitions at renowned museums and cultural institutions. Although she credits her worldly adventures as impressionable, it is while growing up in Bucks County that she attributes some of the greatest influences on her present work. At a young age, Diane befriended Pearl Buck’s daughter. She spent a lot of time with the family, who impressed a critical perspective on the Asian influence represented in her work today. She drew inspiration from the colors, methods, and use of different mediums. Consequently, Levell presently puts a focus on the pristine beauty of the region. She tackles the technical hurdle of presenting her enchanting images on rice paper. This feat is further enhanced with her precise manipulation of color and tone, resulting in breathtaking views of picturesque Bucks County throughout the seasons. The Michener Art Museum is located at 138 South Pine Street, Doylestown, Pa. It is open Tuesday through Friday, 10 a.m. to 4:30 p.m.; Saturday 10 a.m. to 5 p.m., and Sunday noon to 5 p.m. For more information, visit MichenerArtMuseum.org or call (215) 340-9800.